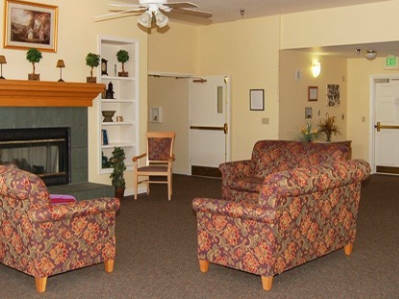 Brookdale Winter Haven provides Alzheimer´s & Dementia Care for seniors. 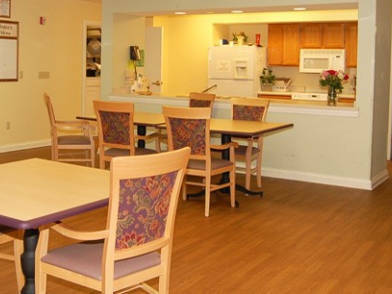 Its adjacent sister community provides Assisted Living facility for seniors. These Brookdale communities offer Senior Living Solutions for seniors who need some day-to-day assistance with personal needs and those with Alzheimer’s Disease and other forms of Dementia wo need additional care. Brookdale Winter Haven offers Brookdale’s Clare Bridge Alzheimer’s and dementia care program, which is dedicated to serving the special care needs of individuals with Alzheimer’s disease and other forms of dementia. From our building design to our carefully selected staff and specialized programming and management, we focus on the individual needs of each resident and family we serve. Maintaining familiar daily routines is important for our Alzheimer’s, dementia and memory care residents. Physical and behavioral needs, as well as life history each play integral roles. Each resident receives and individualized service plan designed to meet their unique needs and to help them feel safe while adding meaning to their day. We offer books in regular print, large print and on tape as well as current magazines and the daily newspaper. 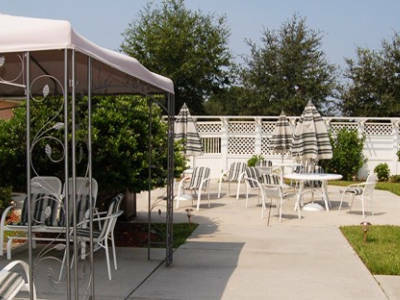 Our outdoor courtyard is a great place to enjoy a warm, sunny day. It is ideal for residents who want to be outside, yet need a controlled environment. Our beautiful gardens offer raised plant and flower beds; keeping your comfort in mind. Our private dining room offers a more intimate setting for celebrations with friends and family (pre-planned). Our beautiful family room provides ample space for social events as well as other scheduled activities.